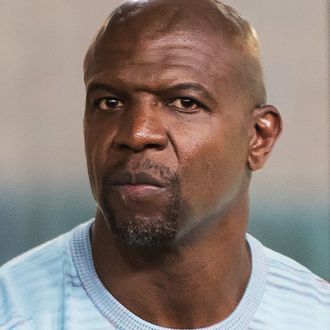 On Tuesday, Terry Crews testified in front of the Senate Judiciary Committee to advocate for the Sexual Assault Survivors’ Bill of Rights and tell his own story of sexual assault. During his testimony and since, some — including, notably, 50 Cent — questioned his story and asked why he didn’t fight back, as if a masculine black man could somehow be exempt from sexual violence. On Twitter, Crews wrote out a series of responses to the questions most often used against him, insisting that he did say something, try to push off, and cuss out Adam Venit, the WME agent he has accused of groping him, and that he took the story to the police and pressed charges.